How to Raise Your Vibration, 9 Ways to Increase Your Frequency Now! 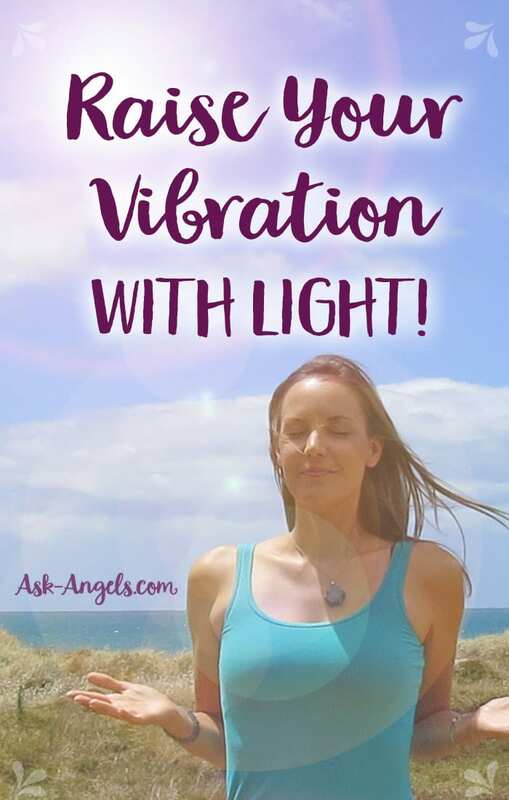 How to Raise Your Vibration with Light! Throughout your daily life, every interaction, reaction, and moment has an impact on your overall energy level and state of being. Your every choice influences whether you are moving in the direction of raising or lowering your vibration. As a vibrational being, in every moment you're either increasing your frequency, or your energy and vibration are declining… Change is constant and so there's no staying the same! When your energy has been drained, or you're in a low vibrational state, you're likely to be blocked mentally, spiritually, and physically. Lower vibrational frequencies are associated with stagnation, negative emotions, lethargy, health challenges, and even depression. Do you want to experience increased health, happiness, and well being? The answer is simple… Raise your vibration! The simplest way to raise your vibration is to fill yourself up with light. I love this process for doing just that. Watch the video below to do it along with me. 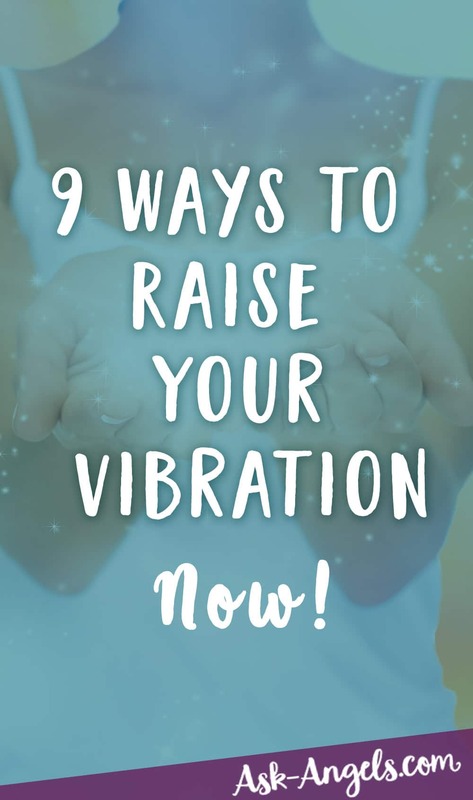 Then, keep reading below to learn nine more ways to raise your vibration. All of your choices impact your light quotient. This is the level of light you’re able to carry. As you detoxify your body, clear limiting beliefs and patterns, and release negative emotions, the amount of light you're able to hold increases. Each time you do this practice of opening your heart, of calling in divine light, and shining it out beyond you, you're able to hold more light. Each time, you're able to lift higher and shine brighter. Begin by shifting your awareness inside and take a deep relaxing breath. Let go, relax, and focus within. Invite your Guides, Angels, and the Ascended Masters. Focus on the area of your heart and breathe in light. Feel it grow, and as you exhale, let your heart light expand around you. Begin to visualize light all around you in an orb and the most brilliant light of the divine above you. Imagine you’re drawing that light in through your crown, down along your body. Visualize it filling your spinal column, heart, mind, and spirit with light. Open your heart and expand into this light, letting light infuse your every cell. Visualize it filling your body, your ascension column, and connecting you to the divine light above. Imagine that the light goes all the way down to the crystalline core of Gaia, connecting you to light below. Let the light from the core of Gaia flow up along your ascension column, all the way up into direct presence with the divine. You are in the center. Between heaven and earth with your open-heart. Continue to breathe in light as you inhale, and as you exhale, let that light expand all around you. Visualize the crystalline column of light all around you and your light body expanding, filling with higher levels of light, more vibrant divine light and presence. Imagine the light particles are speeding up and vibrating at a faster rate. This raises the vibration of your mind, body and spirit, bringing all that you are into alignment with your higher self. Allow the full presence of your higher self to merge with you in this moment. Experience this like light returning to you from every direction. Embody the full presence of the awakened light being, the crystalline light being, that you authentically are. Understand that it is returning to your awareness and to a full connection with you as a physical being. Open your heart, shine your light, and embody your high vibrational truth. Let your light build, grow, and expand. Let love and light shine outward from your heart all around you. Continue this practice as long as you like or until you sense that you are completely illuminated, standing in your divine presence, shining with the full brilliance and light of the divine spiritual being in physical form you authentically are. Shine with light, and so it is. Give it a try. Bask in the incredible light that is available to you right here and now. A high vibrational state of being is essential for connecting with your guides and angels, and opening to your spiritual gifts and abilities. 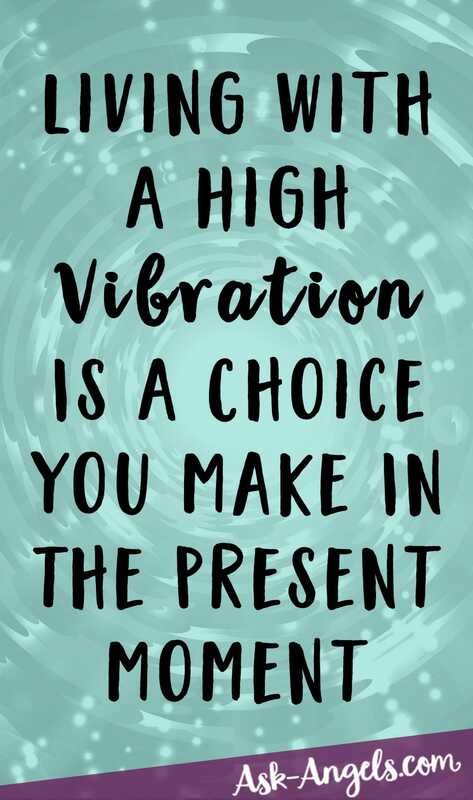 By increasing your vibration you can experience increased states of creativity, intuition, joy, confidence, certainty, connection, and love. A high vibrational frequency is one which is in alignment with health and wellbeing, positive thoughts and emotions, and increased spiritual awareness. Plus, your vibration has a significant impact on what you attract into your life experience. When in a low vibration you're in alignment with attracting more of the same… Annoying people, irritating and challenging experiences, and toxic circumstances. Raise your vibration to attract positive situations, happy people, magical life experiences, and blessings. How else can you raise your vibration? Here are 9 simple things you can start doing now (and return to on a consistent basis) to increase your frequency, and raise your vibration. 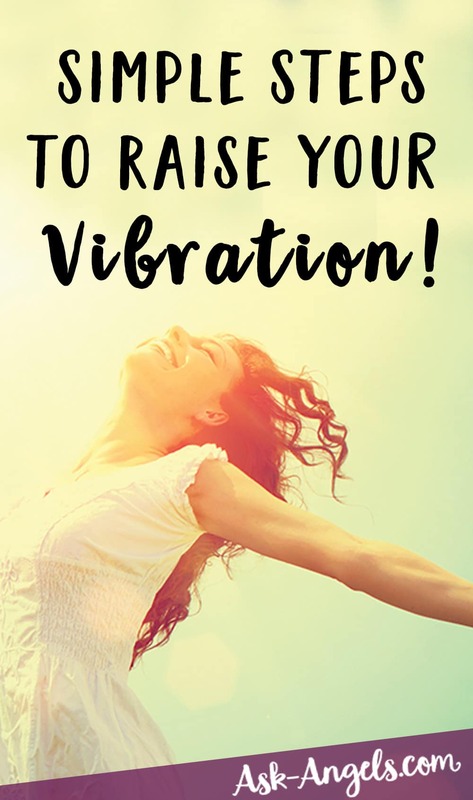 9 Ways to Raise Your Vibration Now! Exercise gets your energy flowing, keeps you fit, and helps to calm your mind. You don't need to join a gym, sell your car, or run a marathon (unless you want to)… Just find ways to get moving every day. Build in daily walks as a part of your routine, or start skipping the elevator, and take the stairs instead. Stretching, walking, dancing, gardening, swimming, running, bicycling (and more) are all great ways to get your blood pumping and your chi flowing. If you're drained or tired, you may be tempted to sit on the couch and watch TV, but this only drains you further. When it comes to energy if you don't use it you lose it! Get moving, and your energy and vibration will rise. Find an active activity you enjoy and return to it on a consistent basis and your vibration will steadily lift and increase. Quiet your mind, breathe, and just be. Even if it's for just 10 minutes, meditation is a wonderful way to bring greater light into your life. Meditation serves to increase your awareness, and helps you to gain control over your mind so you can consciously choose positive thoughts which serve you. Meditation opens the doors for inspiration, creativity, and spiritual awareness to flow through, and will help you to connect with your angels. Many people think meditation is hard, or something they'll never be able to do, when really it can be simple! Take three minutes every day to focus on quieting your mind, and finding the stillness between thoughts. As thoughts do come up, just release them, and return to focusing on your breath. 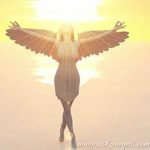 You can also listen to a guided meditation, like those found on this site, which will help you to lift your vibration and connect with the angelic realm. Or, put movement and meditation together to raise your vibration with this walking meditation! Your point of power, and source of energy is always in the present moment. When you're worried about potential future realities, or re-living the past, you're losing out on the energy available to you in the moment. Forgive others and release the past to unhook yourself from lower vibrational energies, and to open yourself up to experiencing the magic and beauty present now. Relax into the present moment! Make the conscious choice to go with the flow, release stress and tension and remain flexible and adaptable as you “ride the wave of light” that is present on Earth. This not only helps to to live with more grace, ease and joy… But it also raises your vibration and helps you to claim your power as a spiritual being in physical form too! Learn more about breathing to increase your awareness here! Nature is a natural mood elevator and a great way to increase your vibration. You don't have to take this to the extreme unless you want to, but do make a point to appreciate and commune with nature in some way on a daily basis. When you make the time to walk in nature, work in the garden, meditate under a tree, relax at the beach, or gaze up at the stars, you're rewarded with clarity of mind, a grounded state of being, and an increased vibration. Time in nature will help you to remember the beauty of the natural world and to experience your oneness with all that is. For me, water is especially healing and uplifting as well. Going for a swim, or even taking a shower and feeling any stress and tension being rinsed away is incredibly uplifting. Also… Get some sunshine! The sun carries codes of consciousness and awakening which work wonders to raise your vibration. Go for a walk outside or even just sit next to the window if it's too cold, and let the light of the sun reach you. Learn more about nature as a vibration raising spiritual practice here. Everything is energy, including information, and some of it vibrates with a far higher or lower frequency than others. Be mindful of the information you're ingesting and surrounding yourself with. Pay attention to the vibration of the material you're reading, listening to and watching, and notice how it makes you feel during and after you experience it. Information does impact your vibration, and so much of the information we're bombarded with on a daily basis is negative, so be sure to counteract this with positive, inspirational, and uplifting material. Nurture your physical body! Hydrate, eat fresh healthy foods, avoid alcohol, and even consider a cleanse/ detox to assist your body in releasing lower densities and tuning into the higher levels of light. Food and water are both essential forms of life force energy. When you choose to ingest fresh whole foods and plenty of water, you're not only giving your body the nutrients it needs, but you're effectively helping your body to flush out toxins which raises your vibration. Drink plenty of water, eat healthy, and avoid frozen, processed, sweetened, and chemically altered foods to increase your vibration. Vibrationally speaking, you are what you eat… Be aware of what you're feeding your body, and choose healthy, high vibrational meals and snacks. Procrastination is a sure fire way to lower your vibration. When you have things you've intended to do, but you keep putting them off, they pull at you, lowering your vibration until you get them done. Start taking small action steps now. When you're actively moving in the direction of your dreams it feels good. Set goals for yourself, focus in on your hearts desire and your soul's intention and then start taking action today! Blaming others and looking outside of yourself for the reasons why you're in a low vibration is a sure fire way to lower your vibration even more. Regardless of whatever has or is happening to you, you are ultimately responsible for your vibration. Yes there are outside circumstances and people which may challenge you and cause pain, but it is your choice as to how you react. Take responsibility for yourself, and do what you need to in the moment to support yourself in raising your vibration. Set boundaries and claim your personal power to create blessings in your life. Come up with strategies and habits which will refresh your energy, lift your vibration, and support you as you walk a path of love, consciously increasing your frequency. With awareness, you can notice when you're in a lower vibrational state and then release lower emotions, fear based energies and negativity in any form as it appears. Tune into the emotion, love the part of you that is sad, angry, fearful… And then release over to the angels and into the light! You can take this a step further by visualizing your heart filled with light and glowing like the sun. Open your heart, expand your light, tune into your ascension column of light along your spine and allow love and light to flow into your body and into each and every cell. Not sure how to open your heart? Learn more about heart opening here. Visualize love and light flowing within and all around you and listen to your inner guidance as to the exact steps for you to take to really let your light shine! Bonus Practice ~ Work With Your Guides and Angels! Your guides and angels are powerful allies in increasing your vibration. Call in Divine white light to surround you and to lift your frequency. Invite in your angels and ask for their assistance by simply thinking or saying: “Angels help me to raise my vibration now and to hold a new level of love and light in my daily life”. Breathe, relax, and open your heart to connect with further insight and encouragement from your angels. Your angels will help you connect you with the infinite supply of energy and light available from the Divine, and will offer insight, healing and guidance for you as you walk the spiritual path of increasing your frequency. Click here for a free angel message with Archangel Uriel which will help you in increase your vibration by infusing your aura with Divine Love. Remember that increasing your vibration is an ongoing process, and there is always room for improvement. There will be times where you really feel like you're getting somewhere, and then you slip back a few steps in response to an outside trigger or challenge. Don't worry when this happens, be patient with yourself, treat yourself with love and care, and refocus on the simple things you can do now to raise your frequency now. Listen to your intuition, follow your heart, laugh, play, take good care of yourself and do what is right for you to respond to life with love. Keep moving in the direction of an increased vibration and remember to enjoy the journey. There is a huge opportunity for growth available to you in this lifetime, which happens one moment at a time. This list of vibration raising activities is a good place to start, but is by no means an all encompassing list, what other activities do you use to increase your vibration? PS… Ready for another really powerful and easy way to raise your vibration? Click here!! You can also jump ahead and raise your vibration with direct angelic assistance here! Even osho says to be happy u need to sing and dance…. Brilliant! Thanks Melanie. I will use this again, Thanks for sharing and thanks for helping. Im loving the beach background. Moving to Coastal Peru in a day or two and cant wait for the sounds and smells and light from the ocean to be part of my day to day once more . AWESOME I loved the natural background sound of the waters enhancing the guided meditation! Thank you so much Melanie for sharing! Life can be very challenging sometimes but this came right on time and made me feel so much better! And helped me remember that I am a spiritual being and I can make it through anything life throws my way! I’m so happy to hear this was helpful for you! Your descriptions of how you recharge in nature are beautiful… Thanks for sharing! Is my Mom and dog happy in heaven? Because l miss them? Thank you so much Melanie! It is amazing how I was learning about this today and received this email. This is just perfect timing! Thankyou! Divine timing! I just love when angels line things up so perfectly like that! I love this …this is my only New Years type resolution…to be aware of my emotions, in order to raise my ✨vibration ✨ … Wishing a ✨sparkling✨ love? filled New Year to all ? and how did your new years resolution go for you Karen? Lovely, I am going to start doing some of these. I love it Teri! I love flowing love and positive energy into meals when I’m cooking too… And you know what? You really can taste the difference! I enjoy you spiritual guidance, thank you. Amazing Spot On Wisdom Pearls….More GEMS from MELANIE !!! Music is certainly very uplifting but also here you have to be careful to stick to the high vibrational kind. Thanks for this info. I work with horses which makes me happy and calm. I found this very interesting. I have been trying very hard to raise my vibration. I’m happy to say that I already practice most of your tips. I have a blessed life, amazing husband, children & grandchildren. I definately need my angels, I just wish tihere was a way for me to know who my Guardian Angel is! Thank you for all the info , I really appreciate and enjoy reading everything!